2018 - 2019 Homecoming Week ~ Hollywood! Homecoming Week will begin on Sunday, September 23rd with the Powderpuff Football game and Tailgate. 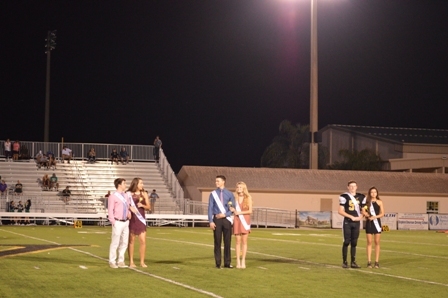 After a week of dress out days, special events, and competitions, the Homecoming Football game will be played on Friday, September 28th, with the crowning of the Homecoming King and Queen during half-time. The Homecoming Dance will be held in the Nevins Gymnasium on Saturday, September 29th from 8:00 - 10:30 p.m. Please be sure to read in its entirety the Homecoming Dance Dress Code below from Dr. Denison. 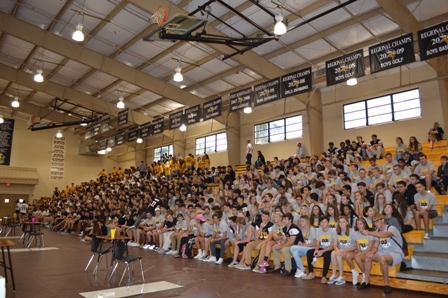 Please click here for the Homecoming Week Schedule including dress out days. Please consider helping with donations for the tailgate. 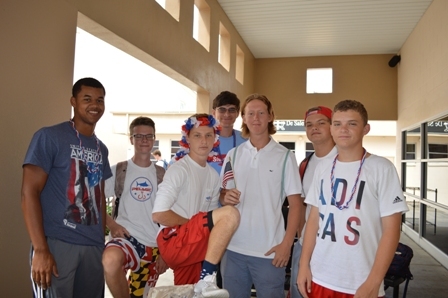 This class competition is judged on decorations, tailgate food, and participation. Each class has a movie genre theme and should decorate according to the theme. Please click on the appropriate class for the Volunteer Spot to sign up. All items should be brought to the back field behind the gym at 12:00 p.m. on Sunday for setup. Please click here for the Dance Dress Code. Remember to have your dress approved by Mrs. Hamstra, Mrs. Larrea, or Mrs. O'Grady if you are unsure. All non-Verot student dates must have prior approval before attending the dance. 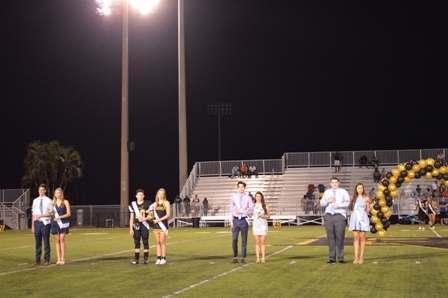 Please click here for the Non-Verot Date Form to be returned to Mr. Nelson by September 27, 2018. Please click here for an important letter from Dr. Denison, Principal, regarding the dress code expectations. 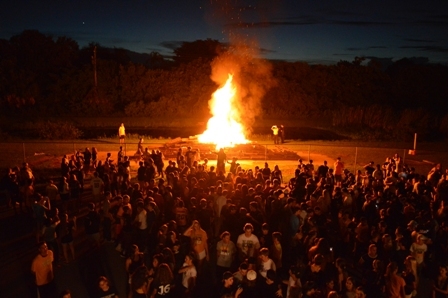 Last year's Homecoming Week was spectacular with class competitions, dress-out days, powder puff football and tailgate, game show, field day, the bonfire, and Homecoming Court.